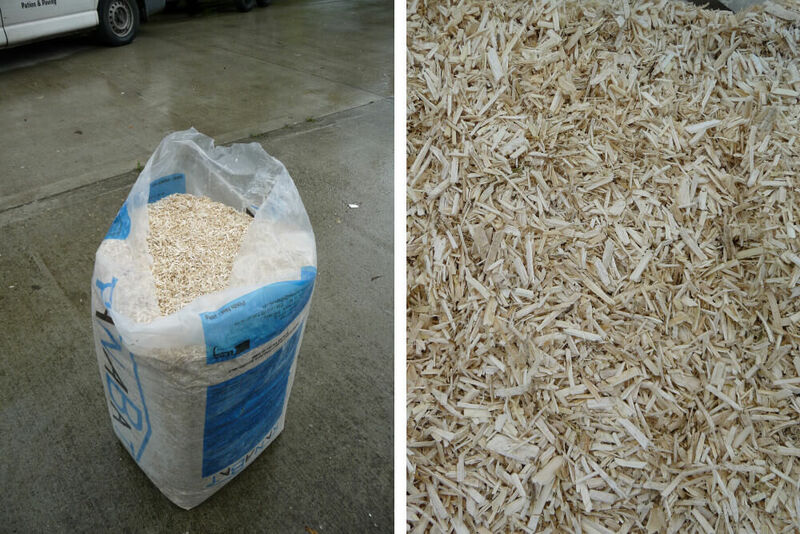 Hemp & lime case study | Mathieu & Mitchell Ltd.
Eric Mullins contacted M&M in 2012 regarding a problem they had in their two storey house which had been built in 1935 with stone and lime mortar. 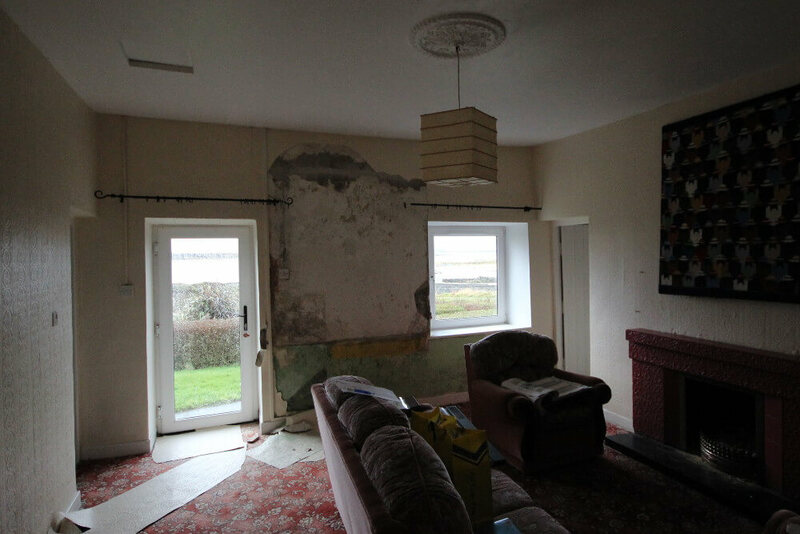 Their son’s upstairs bedroom, which was facing northwest, had a strong smell of mould. They also noticed that he had frequent coughs and colds. Eric informed us that the room had been dry lined a number of years earlier. 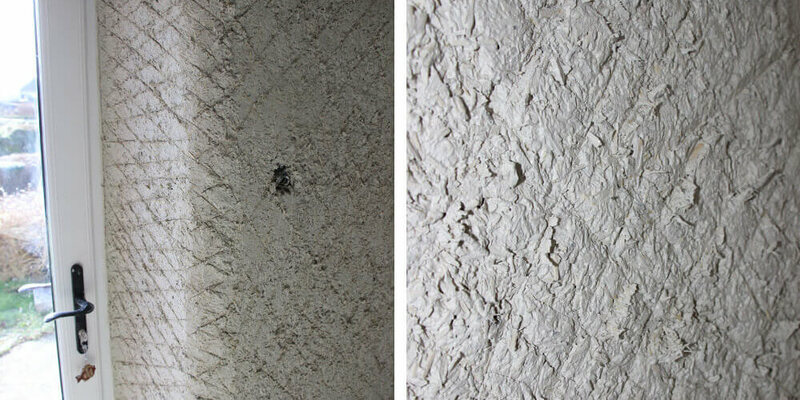 However, when we opened a section of the plasterboard, mould was visibly growing on the existing, original lime plaster. 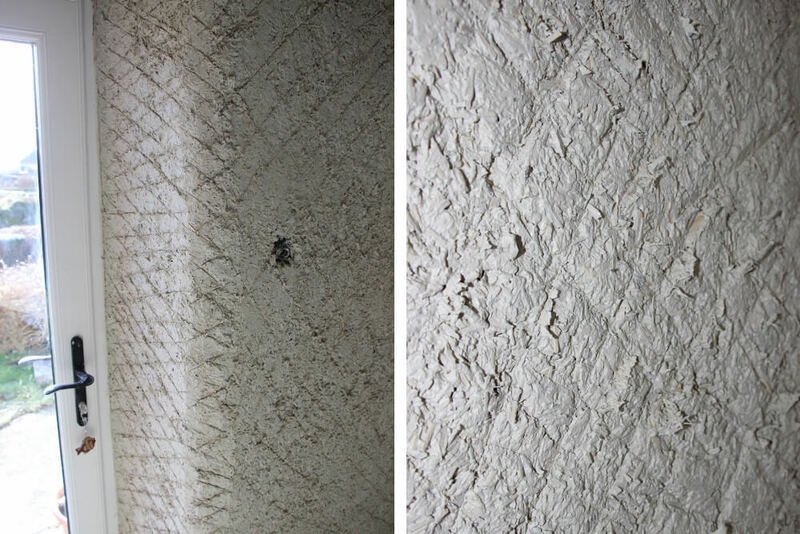 This is a common occurrence with traditional stone buildings as occupant generated moisture gets trapped between the dry lining and condenses on the inner face of the wall. 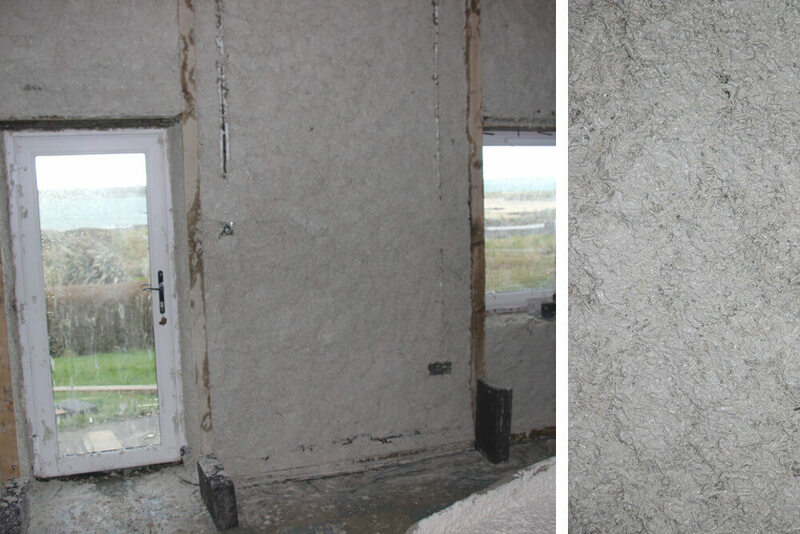 Therefore, it was agreed to remove the dry lining and replace it with 100 mm hemp-lime insulation which would then receive a lime plaster finish. 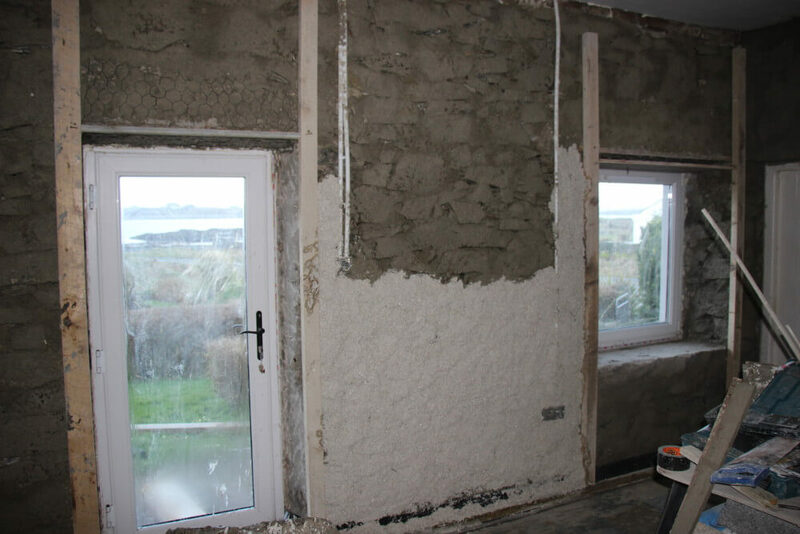 Hemp-lime insulation has excellent thermal values, dramatically increases air quality, is naturally sound proof and has a low carbon foot print. 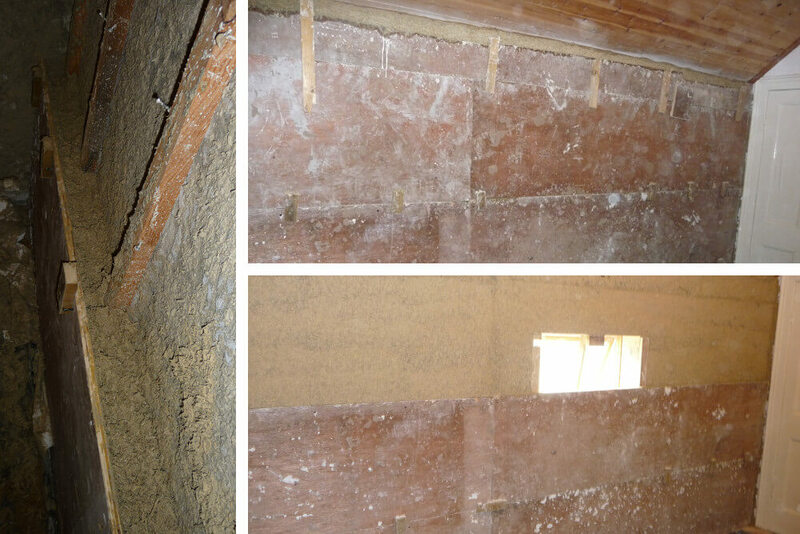 The in-situ method of insulating the wall described here would thusly limit cold bridging and provide an adequate level of air tightness using simple detailing. 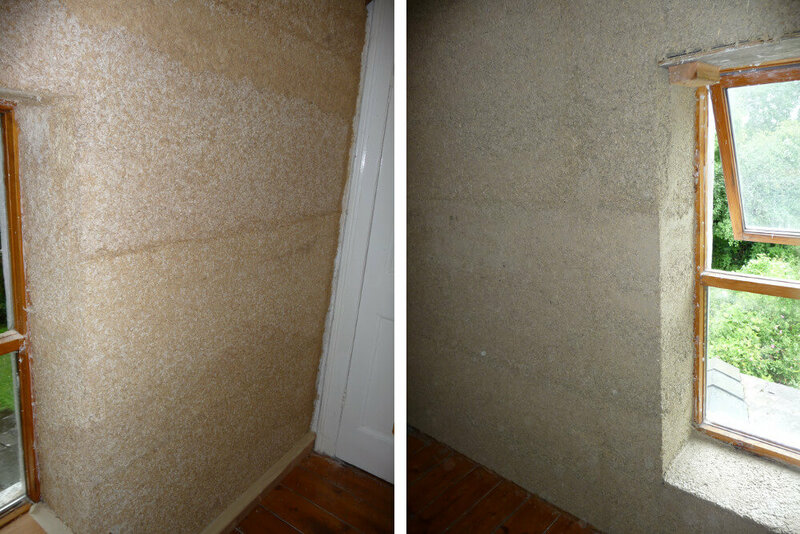 The old dry lining was taken down and disposed of and the wall was thoroughly cleaned to remove the mould. Single-sided wooden shuttering was built using 60mm studs, which were bevelled on both side’s in order to retain the infill. This allowed the studs a covering of 40 mm of hemp-lime insulation. A concrete mixer was used to mix the material ,Hemp,NHL 3 lime, and water, respectively. The shuttering was filled and tamped to give a compact uniform finish.The shuttering was removed. and the insulation allowed to dry out for five weeks. 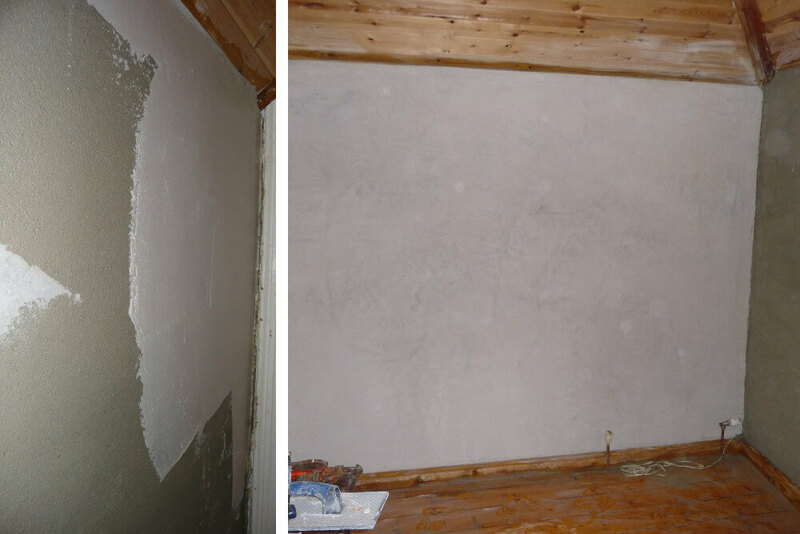 A lime plaster was applied in two coats to finish the wall. Breathable paint was applied a couple of weeks later. 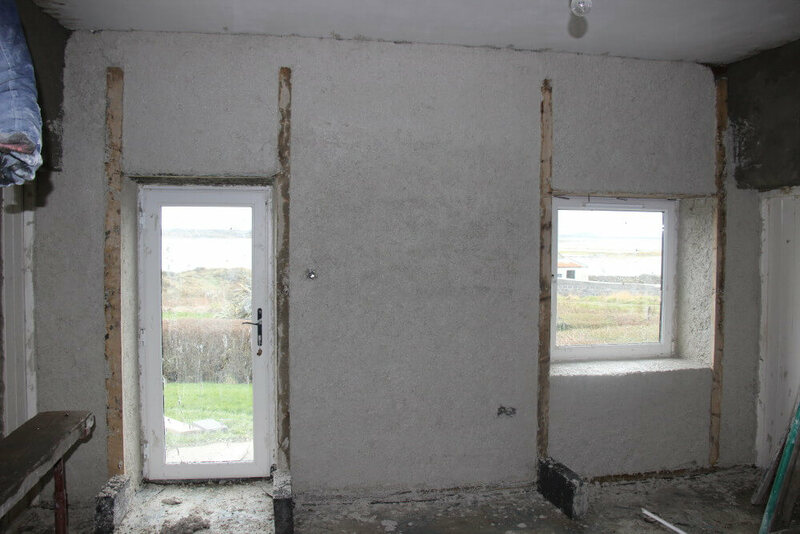 The end result was a mould free, well insulated wall, that naturally regulated the moisture levels, greatly increased air quality, and worked well with the original materials of lime, sand, and stone that had been used to build the house seventy seven years earlier. 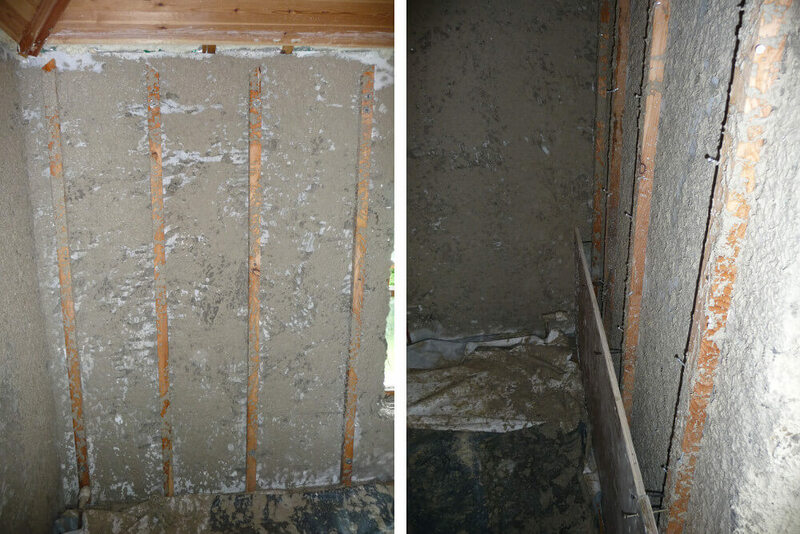 There are two methods for fitting hemp and lime insulation to a wall. Shutter and poor: The shutter can be fitted at any distance from the wall with a minimum of 10cm, the hemp and lime mixture is then poored in the shutter in layers and then compacted. This technique uses a dryier mix than the following one so the finish coat can be applyed earlier It will flatten and plumb twisted walls. 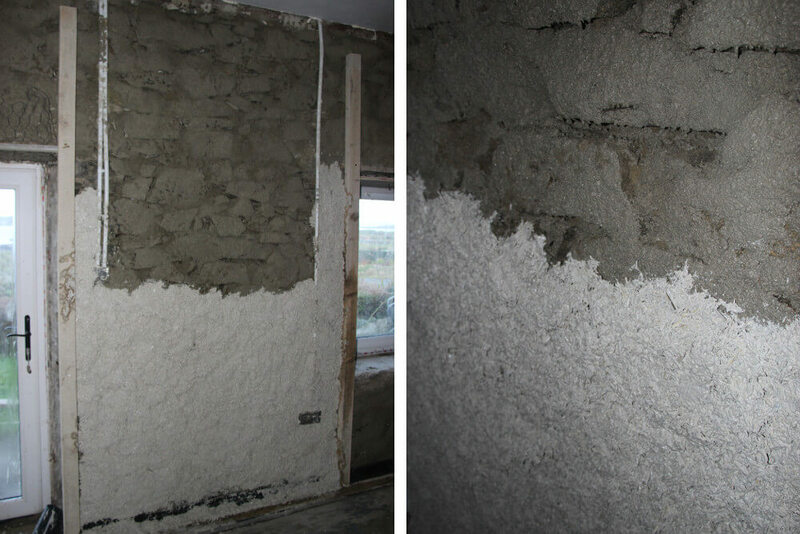 Plastered method: Hemp and lime when mixed wetter and richer in lime can be plastered. This is usually applied in two coats at a few hours interval. The total thickness is around 50mm.